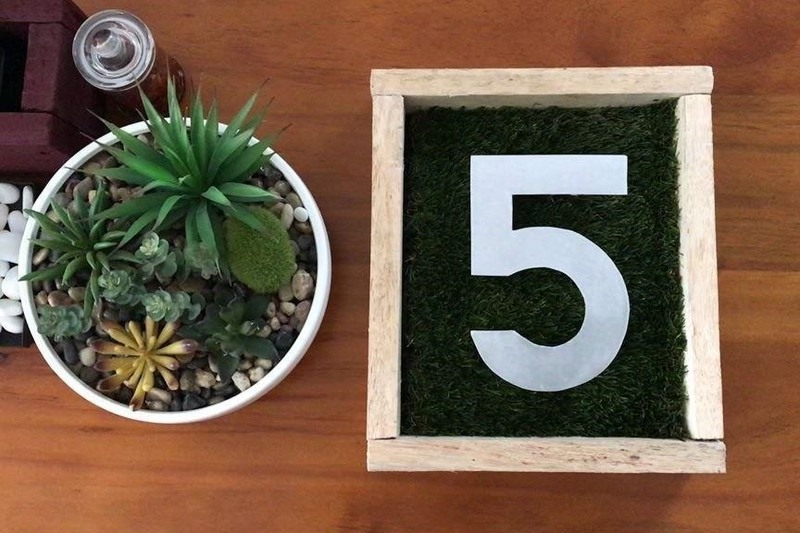 Hi there, I am back again with another simple DIY project. This one cost me absolutely nothing. 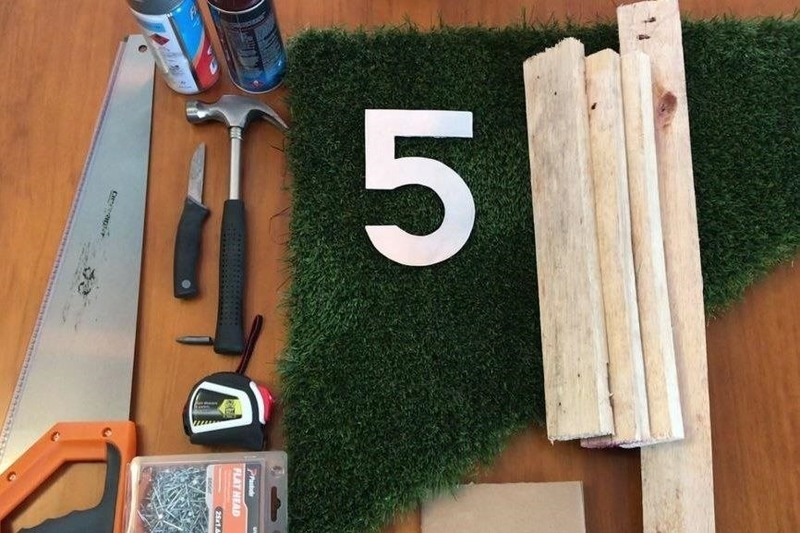 In this project, I am going to make a "Modern House Number Plaque" using all scrap materials from my backyard. A Cardboard box which I'll cut and spray paint to create the house number 2. Few pieces of palate wood 3. 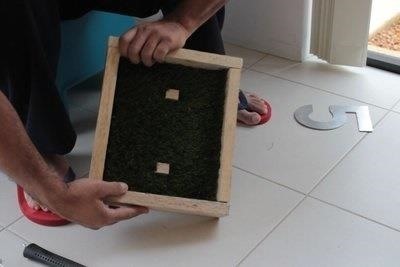 Left over artificial turf 4. Nails 5. Measuring Tape 6. Pencil 7. Hammer 8. Knife 9. Wood Cutting Saw, and 10. Spray Paint I am going to leave the timber as is, but you may like to put some paint on it. It totally depends on how you want it. 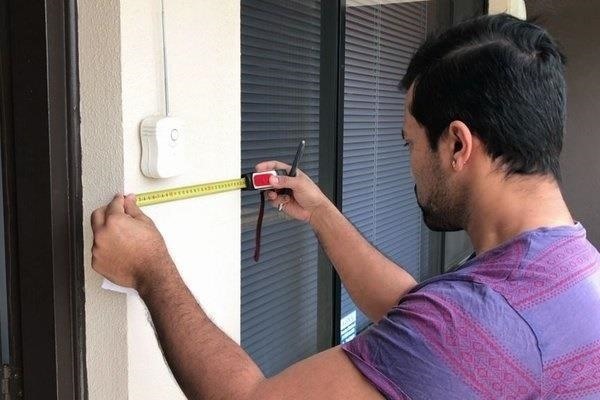 The first thing we are going to do is to measure the place where we are going to install this Plaque. Its been raining all day so, I have setup my workshop inside the house. 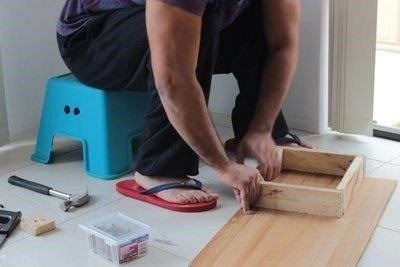 Hopefully, I should be able to finish this project without creating a lot of mess in the house. 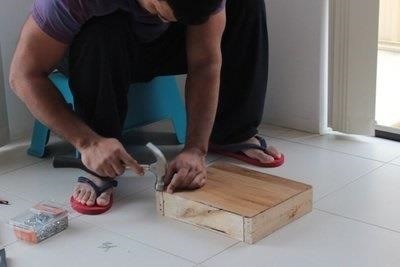 Lets start by cutting the wood planks based on the measurements taken from the wall. 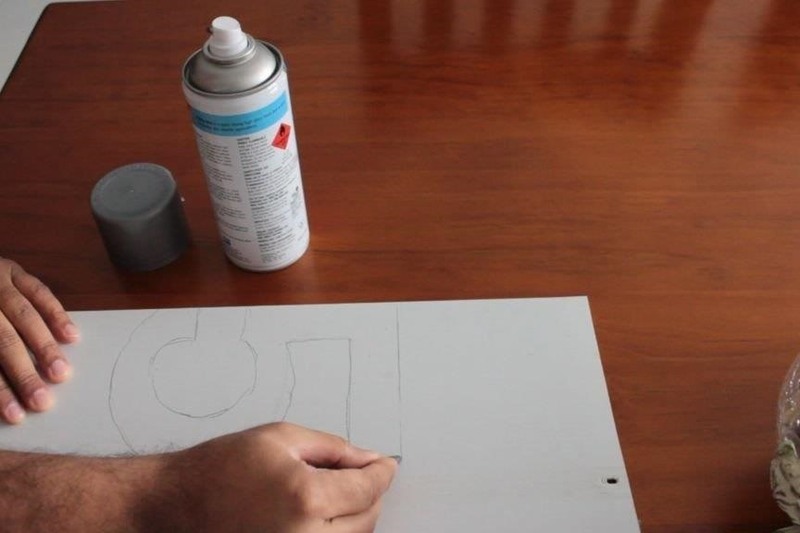 Using a sanding tool make the edges smooth, even if you don't do it, thats fine, it will just give a rough and tough look to your project. Once you have all the 4 sides ready you just need to join them with the right size nails or screws. With a piece of scrap plywood we are going to cover the backside of the box. The artificial turf is going to sit on this plywood. Hammer the nails on the alternate corners first. By putting them in alternate corners you will secure the sheet from moving left or right. Once you finish putting the nails on all the edges, put one on each side to give it a bit of extra support. 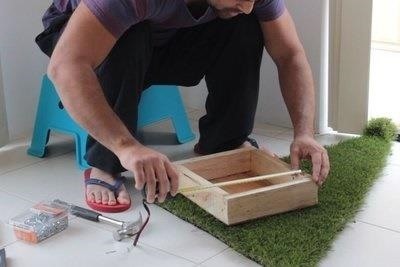 Now, lets measure the internal space and cut the turf as per the measurement. 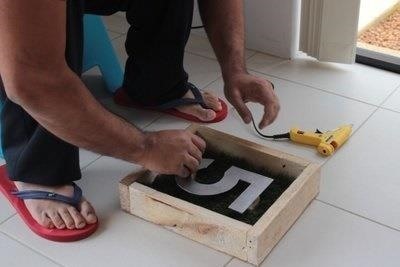 To install the number we are going to use two small blocks of wood and hammer it to the base. Now, using a hot glue-gun pour some hot glue on the blocks and then stick the number to it. Thats it we are all done. Thanks again for watching this video. I hope it helps you. If you want to support me you can subscribe to my channel and watch my other videos. Thanks ca again in my next video, bye now..